E - 22 / 23 / 26, M. I. D. C. Shiroli, Kolhapur - 416 122, Maharashtra, India. 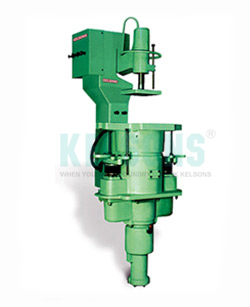 KELSONS Make Pneumatic Molding Machines provide you best and quick service, because of its sturdy construction and all major parts are made from S.G. Iron and FG-260 Grade to reduce ware and tear, which minimize your preventive maintenance time and gives you life long service. Machine operating is easy to increase your productivity with related to minimum maintenance. It has positive impact on production.